Establishing a regular routine might do more than preserve a parent’s sanity by taking some of the chaos out of life with children. According to a new study, parents who make their child follow a routine may also be reducing the likelihood that their child will be obese. Researchers from Ohio State University say young children with regular bedtimes, meal times, and limited screen time are better able to self-regulate their emotions. As a result, they’re less likely to develop into obese pre-teens. "We found a stepwise relationship between regularity of bedtime and risk for obesity,” said lead author, Sarah Anderson, a professor at Ohio State's College of Public Health. To reach this conclusion, the researchers studied the household routines of nearly 11,000 preschool-aged children. The team found that at age 3, 41% of the children always had a regular bedtime, 47% had a regular mealtime schedule, and 23% had their screen time limited to less than an hour a day. At age 11, about 6% were obese. "We saw that children who had the most difficulties with emotion regulation at age 3 also were more likely to be obese at age 11," said Anderson. The study was the first to look at the connection between early childhood routines and emotional self-regulatory abilities and how the two work together to impact the risk for weight problems. While all three household routines were associated with better emotional self-regulation, one routine in particular appeared to have the biggest impact on a child’s emotional and physical health. Anderson and her colleagues found that the absence of a regular preschool bedtime routine was an independent predictor of obesity at 11. The risk of obesity was greatest for those with the least amount of consistency in their bedtimes, the researchers said. 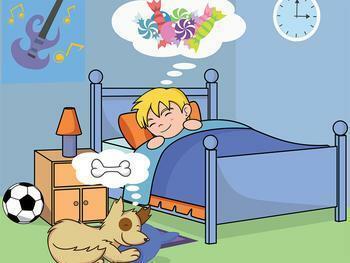 "Sleep is so important and it's important for children in particular. Although there is much that remains unknown about how sleep impacts metabolism, research is increasingly finding connections between obesity and poor sleep," Anderson said. Future research might build upon these findings by looking at the role of emotional self-regulation in weight gain in children and how bedtime routines can support healthy development, Anderson said.